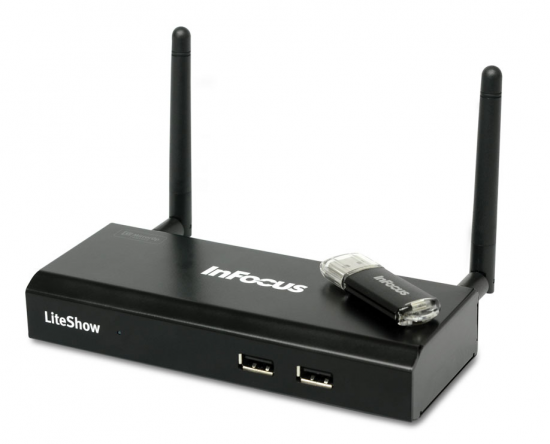 Add the InFocus LiteShow 4 DB+ wireless adapter to any display or projector with HDMI or VGA to quickly and easily share data, audio, and video over a secure wireless connection. 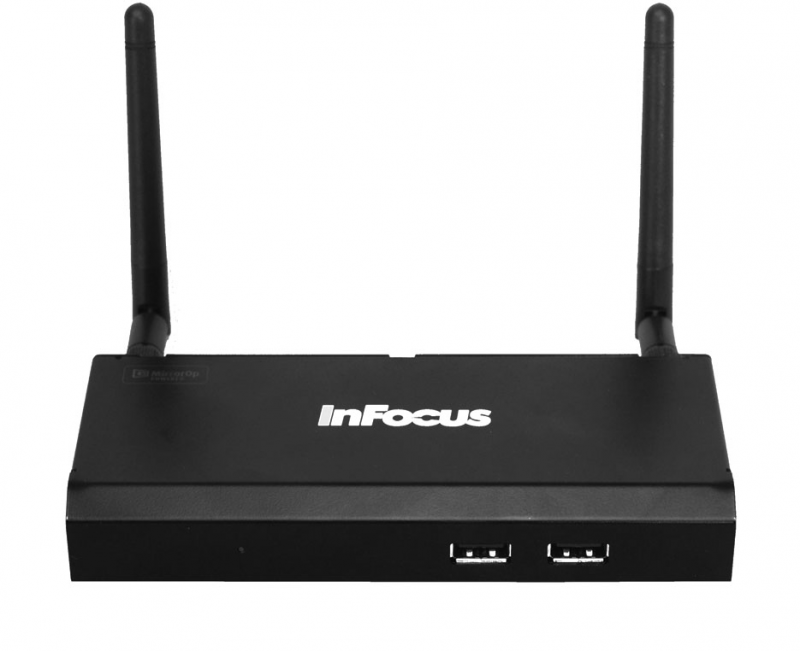 This unit is a perfect complement to the InFocus JTouch 65″ – allowing for wireless connection of computer to the display, and interactive control of the computer from the touch display! LiteShow 4 DB+ is compatible with the latest operating systems, letting you present from Windows and Mac PCs, as well as iOS or Android mobile devices using the free MirrorOp app. LiteShow4 DB+ is also compatible with Airplay for quick casting. Visitors who want to connect to LiteShow 4 DB+ can simply insert the LiteShow USB drive and start presenting. No special admin rights or software installs needed. 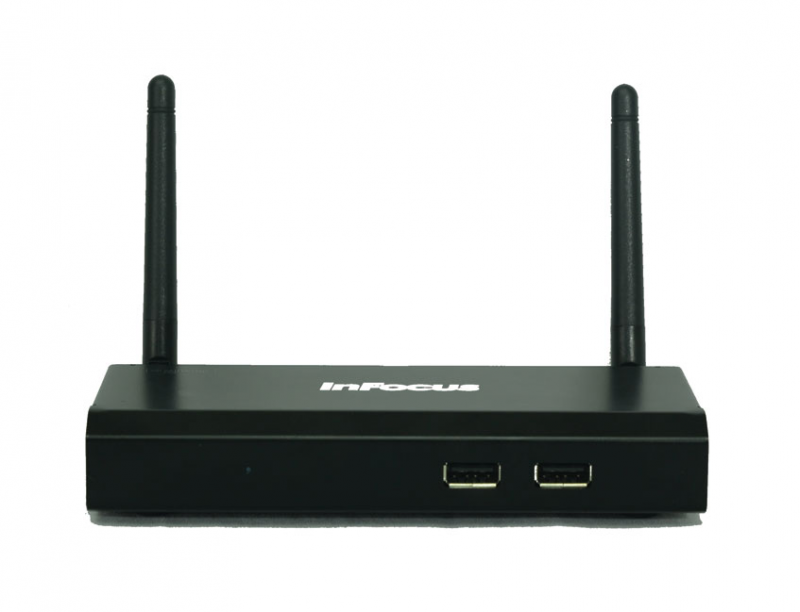 Dual Band wireless technology allows you to broaden your wireless experience while minimizing wireless interference. The 2.4GHz band reaches up to 300 feet (91 m) so you can connect from a different room, while the 5GHz band offers faster, uninterrupted connections and transfer speeds up to 300mbps. 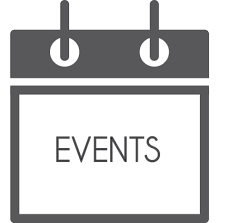 Stay connected to your corporate wireless network (for access to email, shared folders, etc.) when you want to present – simply connect the LiteShow 4 DB+ via Ethernet or WiFi. Plus, guests can still use the wireless/access point functions to present and access the Internet while keeping your network assets private. 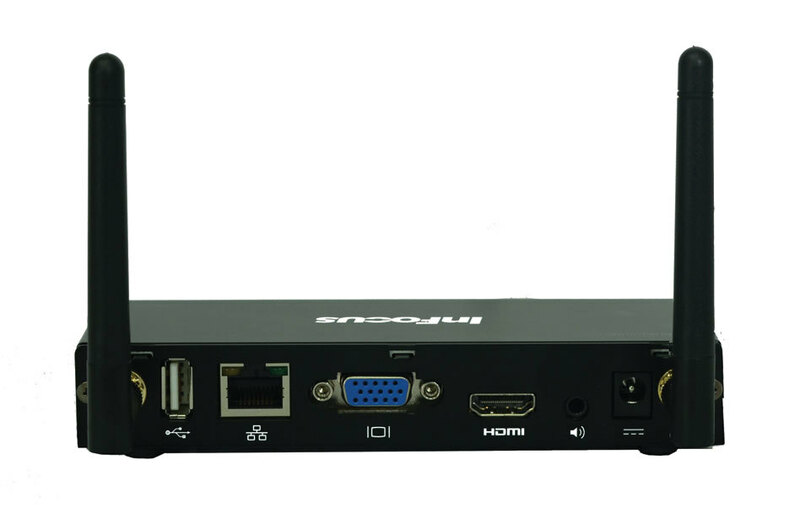 The Moderator and QuadView features allow up to four computers to connect to the display at the same time and lets you control which computer (or computers) is displayed. It’s ideal for Web meetings, teamwork and classroom projects.